It is with great sadness, we let you know that a popular teacher, Geoff Collins, passed away on Wednesday morning. A teacher here from 1979 until his retirement last year, Geoff taught mainly French and ICT as well as being the exams officer and looking after our assessment and reporting procedures. 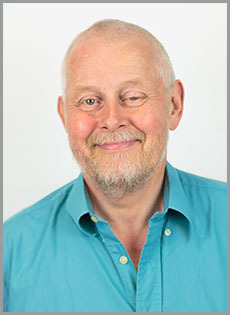 A kind and energetic man, Geoff was always willing to give his time to assist students and colleagues usually with a dose of his wry humour. A keen cyclist and sailor, Geoff also enjoyed wood work and working on his allotment. A true stalwart of the school his personality shone through at all times and all the TWGSB community will sorely miss him. Our deepest sympathies to his wife and children. "I had known Geoff since 2004, when I took up my post as Head of MFL. I found him a thoroughly decent chap who was always willing to give up his time to help and support." Mr Hortense. "A fantastic, witty and thoughtful man who was always willing to give up his time to help others. You will be sorely missed Geoff.” Miss Allen. Once again it has been a busy, action packed start to the academic year. The Summer saw us celebrate good results at GCSE and A level and these are testament to the hard work and commitment of staff and students. We continue to work with KCC moving forward with the expansion plans and we will keep you informed of any updates. Confirmation of planning is imminent and the timeline for the start of the build is July 2019. We welcomed our new Year 7 students in September and they have settled in well, enjoying the stimulus of life at secondary school. The team-building activity at Arena Pursuits (scroll down to the bottom of the newsletter for photos) will have been a particular highlight for most. 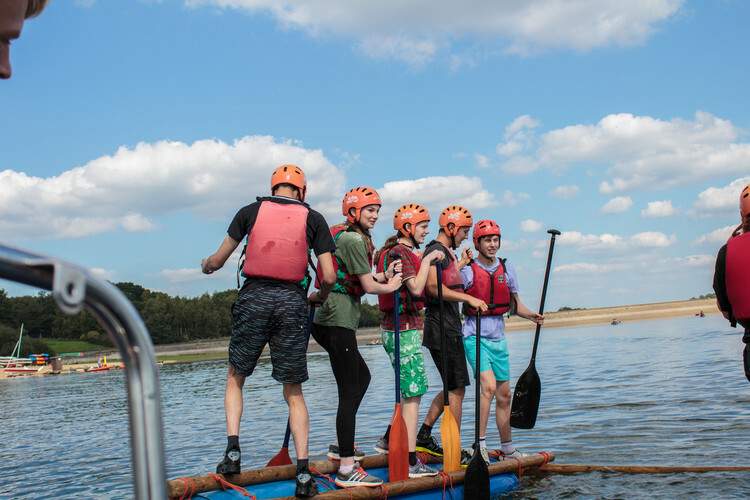 The Year 12 students have made an excellent start to their A level studies and have also enjoyed team building days both in school and at Bewl Water. They have finished this first term celebrating positive feedback from staff and with many of them having been appointed prefects. The Senior Student Leadership team have sprung into action already, working with all year groups, leading assemblies and supporting the local community by raising money for their chosen charity, Jigsaw (South East), supporting bereaved children, young people and their families. Open evening and open days have seen a huge influx of families looking around TWGSB. 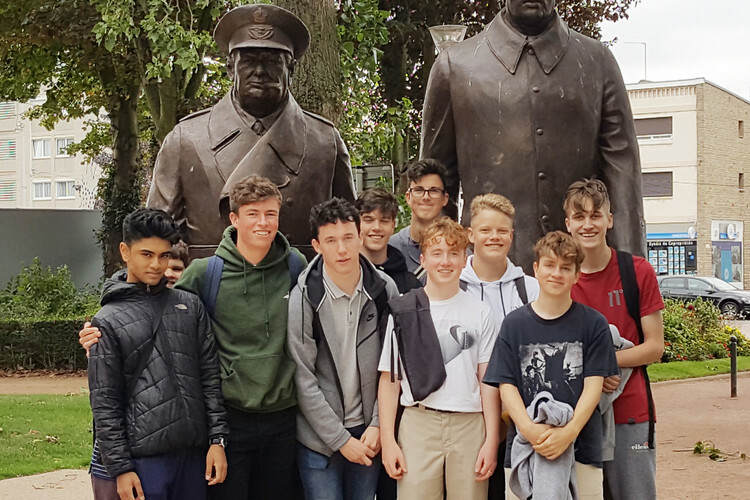 The feedback has been overwhelmingly positive and the Year 8 and Sixth Form tour guides as always were superb. We are also delighted to announce the start of a capital fundraising project for a new Sixth Form Centre. We will be creating a space where every boy from Year 7 upwards aspires to be. It will be that vital bridge between school and university or work. We are in the initial preparation stages and are currently in the process of setting up a campaign office on site. I hope very much that some of you, parents/carers, will be able to volunteer to help us in the admin office and be part of the campaign office team. Free tea, coffee and biscuits will be on tap! Any time you can offer would be greatly appreciated. If you are interested, do get in touch with my PA (PArmstrong@twgsboys.kent.sch.uk) . A huge well done to all of the staff and students for a great start to the academic year. Enjoy the newsletter and thank you once again for your continued support. On Thursday 13th September, the intrepid band of Year 12 students sett off for an Activity Day at Bewl Reservoir . They took full advantage of a glorious late summer day and had the time of their lives. Possibly the best, of many great moments, was hearing the brave refrain of "Do Re Me" from the middle of the lake as yet another raft slid beneath the waves ! Everyone had a go at everything and the instructors were delighted with the can-do attitude of the students . A truly wonderful start to 6th Form life! 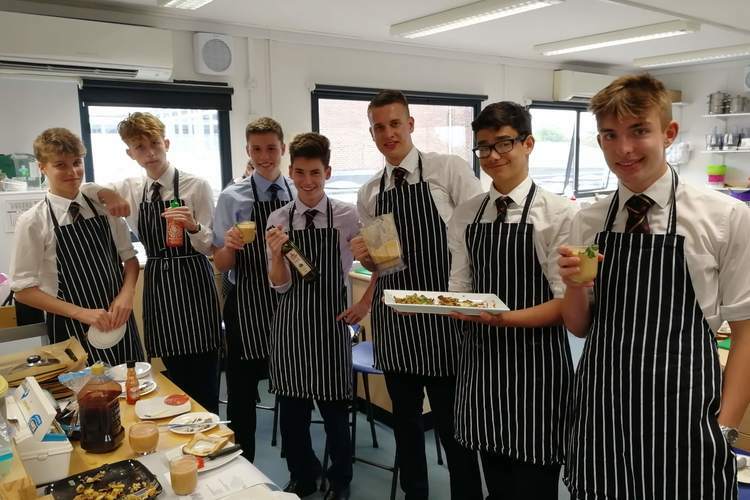 We did a "Great Spanish Tapas-Off" with the Year 12 Spanish Students. The students made tortilla, gazpacho and pan con tomate with instructions in Spanish and only being allowed to talk in Spanish amongst themselves. The results tasted better than they looked, with Sam Prosser and Rory Sturgeon being declared the overall winners. 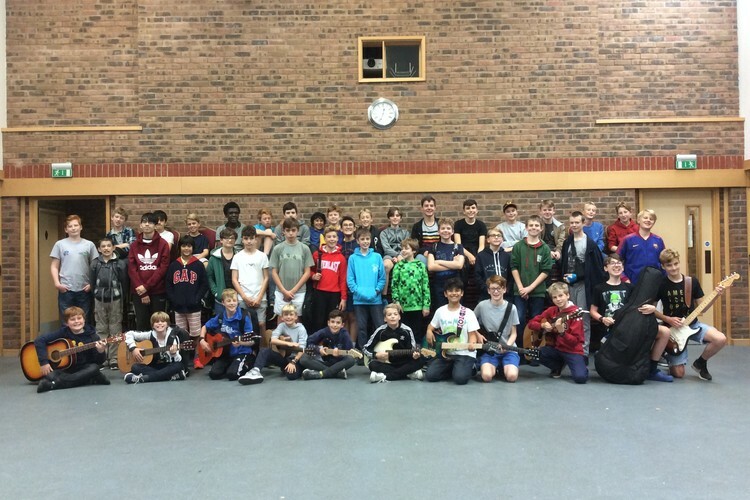 The Music department took 45 boys on the annual Lodge Hill residential trip near Pulborough to rehearse and compose. Songs this year included These Days, This Is Me, Havana, Perfect and Friends, with some brilliant additional performances during the talent show and the film composition clip this year was from the animated film Sing. There was a great variety of instruments with a healthy number of wind instruments and singers and we are looking forward to performing at the Christmas concert. When not rehearsing, we enjoyed hearty meals, table tennis, pool, football and a couple of films. In summary, a good time was had by all! 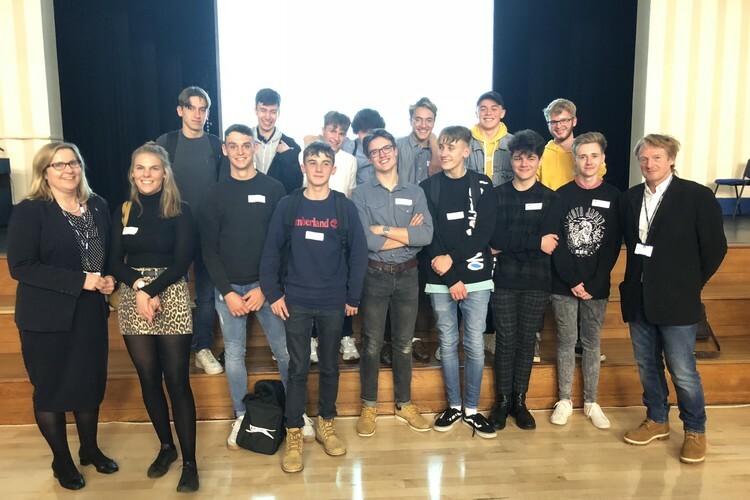 On Friday 5th October the KS5 Philosophy Students joined The Judd School in visiting Maidstone Girls Grammar School to participate in the KS5 Kent Schools' Philosophy Conference. Our students had a fantastic time and were a real credit to our school. They thoroughly enjoyed meeting Stephen Law, a leading philosopher, who led a seminar on ‘The Problems of Evil’ and ‘The Existence of God’. They actively participated in the various workshops offered throughout the day. The students especially enjoyed the finale of the big debate between the schools exploring ‘Science and rational thinking excludes the need for God’. On Friday 28th September myself, Mr Roberts, Mr Beard and Mr Britton took nineteen GCSE Geology students to the PGL centre at Osmington Bay near Weymouth in Dorset. Having braved the congestion on the M25 and M3 we arrived just in time for our evening meal. We settled in during the evening and were introduced to the centre. The weather was great and the nights were clear and we all enjoyed a fantastic view from our accommodation out across the Bay towards Portland and great views of Mars in the early night sky. On Saturday we travelled to Durdle Door. We usually study the cliffs in Man O War cove but the footpath is closed due to landslides although it was nice to visit a different location. 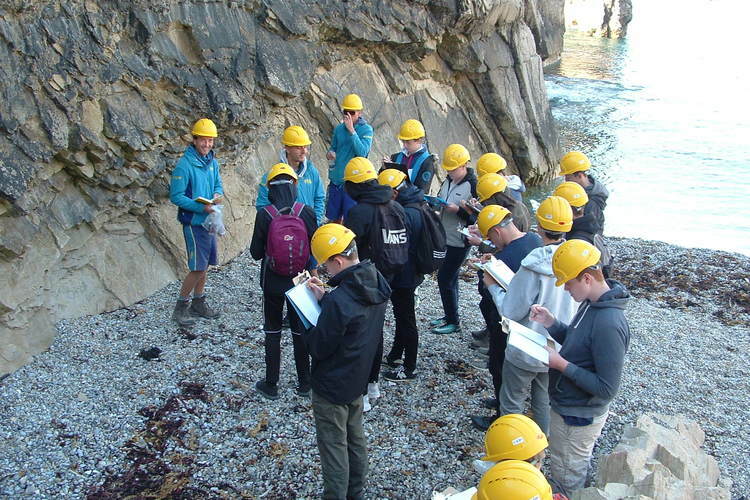 Whilst the visitors enjoyed the sun and the beach we stayed in the shadow of the cliff to analyse the Geology. Many people were intrigued by our bright yellow hard hats and a number of tourists approached us to ask questions about what we were up to. The helmets had an amazing effect on our expertise and many were impressed by the level of the boys knowledge. The geology on this stretch of coast is nearly vertical so it is easy to visit successive layers just by walking along the coast. We were able to analyse, in detail, the Jurassic Limestone’s and Cretaceous beds including the lower chalk where we found some nice fossils of sea urchins and bivalves. We then followed the coast round to the famous Lulworth Cove. Our yellow helmets again attracted attention and more than a few tourists tagged on to our group to listen to the discussions about the formation of the Cove. We took full advantage of the excellent ice cream shop and the souvenir shop to buy some fossil related gifts before leaving for the centre to follow up the days recordings in the classroom. On Sunday we visited The Isle of Portland where the weather was again unseasonably warm. We studied the Portland stone and its now famous, to us anyway, Cherty beds (flint to most people), before moving on to look at the range of uses of the quarries on Portland. We measured the old ones that had been excavated by hand and had a look at the more modern ones that use machinery to extract blocks. We also visited Tout Quarry. This is a nature reserve and sculpture Park where summer students learn to carve the Limestone and are then let loose in the quarry to practice. This means that throughout the quarry there are numerous sculptures to enjoy as you explore the area. On the last day we had access to Osmington Beach where we were able to search for fossils in the clay beds. We were very successful and the students came away with an impressive collection of ammonites, bivalves and belemnites. Following our last PGL meal we travelled back to school. 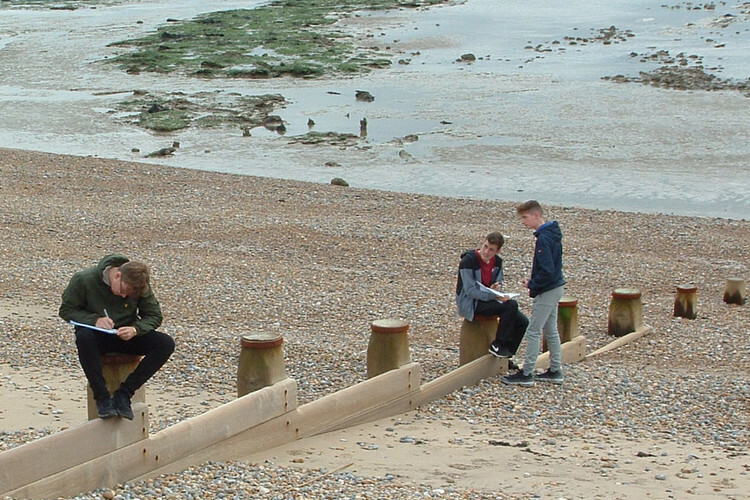 As part of the GCSE Geography course we visit the beach at Pett Level to study beach processes. Whilst Hastings would be an easier location to get to Winchelsea Beach offers a far more natural and active environment to observe beach processes. I am sure some of us, including the driver had wished that we had visited Hastings with a less windy route but we were better equipped the next day with appropriate sick bags!! An experience we would all rather forget. Once on the beach we divided into groups to collect data over a long stretch of coast. It is a great advantage that our students can be so mature and trustworthy as it allows us to cover a larger area of beach and therefore gather data that will demonstrate the subtle changes in beach size and sediment sorting that are not obvious over a shorter distance. On returning from their sites we walked down to Cliff End to discuss the inputs to the beach from the sandstone cliffs and its relative minor role in providing a protective beach. We then considered the source of the flint on the beach and the way that it is managed to maintain protection of the coastal embankment. This has provided the students with a deep insight into the nature of beach processes and the issues of beach management once the supply of natural sediment has been cut off. In this case by the harbour arm at Hastings. We have been delighted with the commitment and effort shown by the boys towards football this term both in lessons and fixtures. The 1st XI have recorded victories away at Ardingly (3-0) and away at Cornwallis (5-2) in the Kent Cup. The 2nd XI is yet to start its Kent Cup campaign. The 3rd XI won 3-1 against Ardingly. The U'16s (Year 11) won 3-2 against Bexleyheath Academy in the Kent Cup. The U'15s (Year 10) had a fine 3-0 win against a strong St Gregory's team. The U'14s (Year 9) have recorded victories against Whitgift, Ardingly, St Gregory's and Skinners Kent Academy. The U'14B team won 4-0 at Ardingly and the U'14C team won 14-0 at Ardingly which shows the strength in depth in Year 9. The U'13s (Year 8) won 7-0 against St Gregory's and a mixture of A and B team won 10-0 against St Gregory's B team. The U'12s (Year 7) won 3-0 against St Simon Stock before losing 4-3 against St Gregory's. The Year 8, Year 9 and Year 10 teams are all performing very well in the West Kent Leagues having won all their matches. 100 boys played for the school in 7 matches against Ardingly with TWGSB winning 6 of the matches and drawing the other. We are still in numerous Kent and National cups which will continue after half-term. House football will be starting soon in most year groups which is always very popular. After school training has been well attended with 100 boys in Year 7, 70 boys in Year 8 and over 50 boys in Year 9. We have set up a link with Brighton & Hove Albion FC. 30 boys in Year 8 and 30 boys in Year 9 have been training regularly with Brighton & Hove Albion FC Coaches on the 3G pitch. Football continues to be very popular at TWGSB. We are proud of what the boys have achieved this term. While most TWGSB students were having a well-deserved day off on the INSET day, after a long and busy open evening, our cross country runners were battling around the hilly course at Somerhill in the English Schools’ Cross Country Cup. In the Junior Boys’ race for Y7 and Y8 students, Joe Hickey got off to a fast start to lead the TWGSB runners over the opening small lap. After a steadier start, Will Henry moved through the field on the large lap, to the edge of the top-20 with Joe not far behind. On the long uphill drag up to the school, both boys maintained their positions, with Gus Minster and Sam Kennedy making up the other scoring places. Will produced his usual fast finish to come home in 18th position, with Joe in a very pleasing 22nd place on his TWGSB debut. Gus was our 3rd scorer in 35th place, with Sam Kennedy completing the scorers in 42nd place, just ahead of George Shine in 44th position. The intermediate boys race was of outstanding quality with most of the English Schools’ team taking part, such is the strength of cross country running in Kent. The TWGSB team was made up of Year 9 students up against teams mainly comprised of Year 10 students but they acquitted themselves exceptionally well. At the start, it was Jamie Witz leading the TWGSB charge, with Harry Sinclair close behind. They were followed by Isaac Arnott, Jamie Macdonald and Angus Currie running together with Ralph Alemayehu-Lambert starting more cautiously on his cross country debut. Jamie Witz was full of running, showing the benefits of training with a new coach at Tonbridge Athletics Club, maintaining his form and moving into the top-20. Behind, a fascinating battle between four TWGSB runners was emerging. Gradually, Isaac Arnott, Jamie Macdonald and Angus Currie gained on the fast-starting Harry Sinclair. Isaac and Jamie moved into the 2nd and 3rd scoring positions as Harry and Angus began to fade. At the finish Jamie Witz was first scorer in an excellent 20th place, with Isaac holding off Jamie Macdonald by three seconds and three places in 28th place. Angus, lacking fitness after illness in the summer, bravely battled to the end to close up the team in 33rd place. He was closely followed home by Harry in 34th position, showing that his swimming fitness transferred very effectively to a long running race. Ralph used his finishing kick, to hold off a fast-finishing competitor, as he came home in pleasing 41st place in his first cross country race for TWGSB. The team came home in an encouraging 6th out of 13 teams and with all the boys being eligible to compete next year, the future looks bright. Thanks to Mr Price for his minibus driving and support. 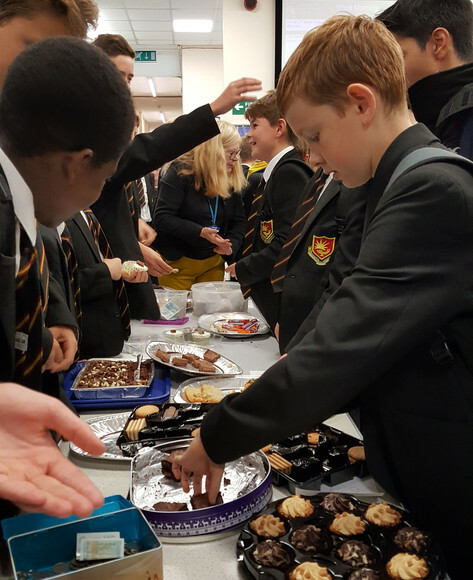 Mrs Clegg's Year 9C baked (and bought) cakes to raise money for the survivors' of the Indonesian Tsunami. Finally, please do enjoy looking at the photos of some of our Year 7s enjoying themselves on their Teambuilding day at Arena Pursuits. See below.